Hair loss? Try Coriander Oil. Hair loss is an issue of many men and women. To the most common causes are count in genetic factors, chronic diseases, lack of right conditioning and too frequent hair dresser’s treatments. To hair loss can contribute: radiotherapy and chemotherapy, obsessive-compulsive disorder, abnormalities related to the hormonal economy, pregnancy and giving birth, menopause, stress, restrictive diet, hypervitaminosis, anorexia, bulimia, protein and some mineral deficit, too tight hair tie (tight plait, ponytail), contraception. Those are just some of the causes for hair loss. To entirely eliminate this problem, best solution will be visit at trichologist. The doctor will subscribe right medication and advise the most suitable treatment. During the therapy, but with the permission from the specialist, you can use hair rinses or vegetable oils. One of such products is coriander oil. Why would the coriander suppose to deal with hair loss? This green plant consists of valuable to the organism ingredients. 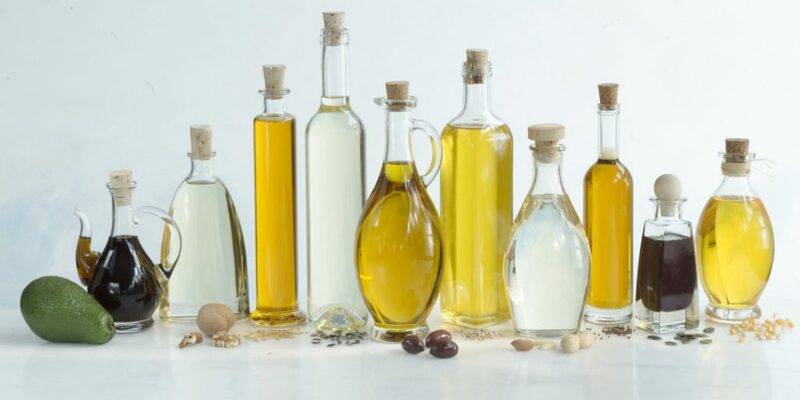 Among them are: unsaturated fatty acids, natural antioxidants, folic acid, beta-carotene, potassium, manganese, iron, magnesium and vitamins A, C and K. Inhibiting hair loss and stimulation of hair growth depends on the external and internal hair care. You can ingest coriander in form of a seasoning, tea or liqueur. Equally good results will ensure use of coriander oil. Why? Coriander oil stimulates hair growth on their length and dense. It prevents hair loss, breakage and split ends. What is more, this oil strengthens hair bulbs, eliminates dandruff and helps with scalp diseases. Coriander oil has antibacterial and calming properties. It additionally provides hair with beautiful appearance and scalp with regeneration. How should you use this product? In health food store you can buy ready coriander oil. Before application you should heat it a bit, then rub in hair and scalp. After 30 minutes rinse it with delicate shampoo. Furthermore, potion for stimulation of hair growth can be prepared at home. You just need to mix one tea spoon of sunflower oil, five drops of rosemary oil and five drops of coriander oil. This way prepared cosmetic, rub in scalp and massage for a while. Powdered seeds of coriander, you can add to your favourite hair oil and massage the entire thing in the scalp. The massage will improve blood circulation as well as cell renewal and strengthen hair bulbs. 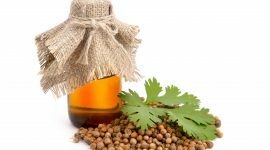 DIY Coriander Oil – Few simple recipes. 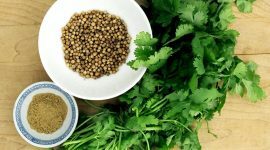 Coriander oil – use, application and properties. Coriander oil Copyright © 2019.